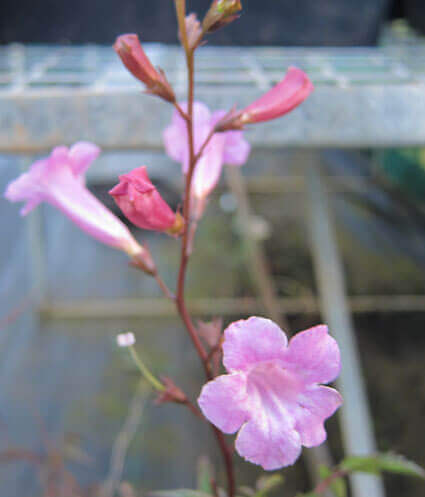 Incarvillea Delevayi is commonly known as hardy gloxinia or Chinese trumpet flower. 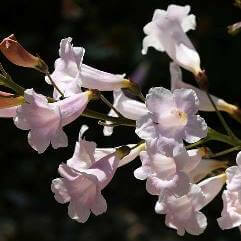 This plant comes from the Himalaya's and Tibet. This plant is a clumping perennial with fern-like foliage. 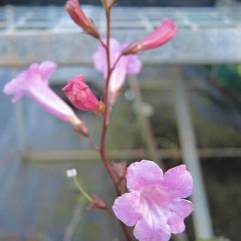 Spring, Summer & Autumn flowers with racemes of cerise-pink tubular flowers about 3 - 4cm long and 2cm wide.